Using high-tech headsets, Closure Inc. employees can “view” the memories of both parties and then create an objectively analytical report of what went wrong. A lack of intimacy? Neediness? Failure to communicate? All of our client’s most crushing personal flaws will be on display, but at the end of the day they will rest easy knowing what exactly tore apart their love. Audiences of six take on the role of new employees at Closure Inc., ready to write their very first group report. The job should be an easy one: Nick and Shelby had textbook issues. But when their memories diverge, and a few unexpected guests arrive at the Closure offices, the very nature of love is thrown into question. 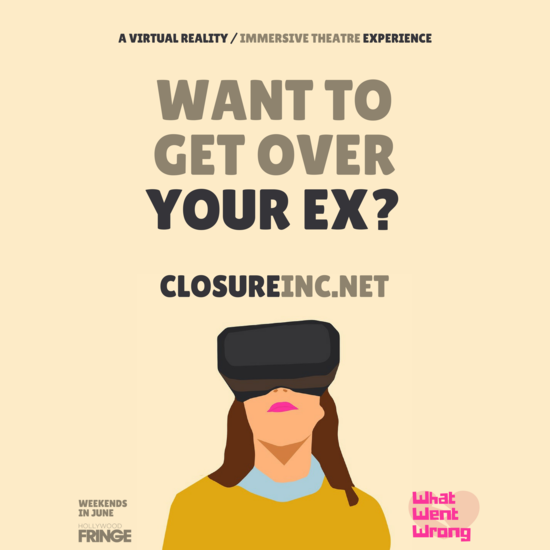 Part immersive play, part virtual reality experience, and part corporate nightmare, “What Went Wrong” is a genre-shattering, reality-bending production like no other.